Led Zeppelin began 2016 preparing to defend itself in a copyright-infringement lawsuit over “Stairway To Heaven” brought by Michael Skidmore, a representative of the estate of Spirit guitarist Randy California. Defendants Jimmy Page and Robert Plant – along with bassist John Paul Jones – were each deposed separately in London in January as part of the pretrial discovery phase and, after a few months of negotiations and delays, the case went to trial in California on June 14 before U.S. District Judge Gary Klausner. The two-week trial saw the three Zeppelin members take the stand to deny exposure to “Taurus” while explaining the creation of “Stairway” at Headley Grange, while music experts testified that both songs share a commonplace descending chromatic line that has existed for hundreds of years. On June 23, Led Zeppelin were cleared of copyright infringement in the jury trial but, by late July, Skidmore filed an appeal in the case. On the live front, Zeppelin reunion rumors surfaced in late June when a news report suggested that the band had turned down a $14 million offer to perform at the first classic rock Desert Trip Festival in Indio, CA in the fall. Sources say that Jimmy Page was all for it but that Robert Plant wouldn’t agree to any kind of reunion. The two-weekend event ultimately moved forward with a lineup that featured The Rolling Stones, Paul McCartney, Roger Waters, Bob Dylan, Neil Young and The Who. Plant was busy on the road in 2016, playing dates with The Sensational Space Shifters and planning another album with the group. A March performance on the PBS series Austin City Limits was streamed live before the concert had its broadcast premiere in October. September saw the group release “The Complete BBC Sessions”, an expanded version of their 1997 set, “BBC Sessions.” The package delivered live recordings from the band’s appearances on BBC radio between 1969 and 1971 and included eight unreleased songs. 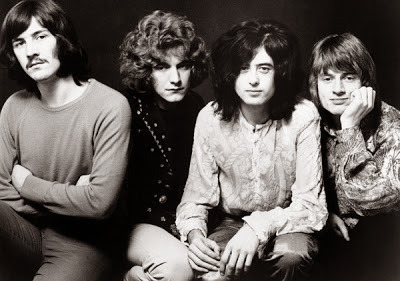 The project earned Led Zeppelin their highest UK chart position in more than three decades with a No. 3 debut while it entered and peaked on the US Billboard 200 at No. 21. With the Zeppelin catalogue reissues completed, Page once again made his annual claim in the fall that he would be putting a band together for live dates next year – echoing his own remarks from recent years – including 2010, 2014 and 2015, among others.